Hi everyone. I am curently stuck in Cagayan Airport waiting for my delayed flight to Manila. Instead of whining over this fact, I decided to blog. :) Okay.. 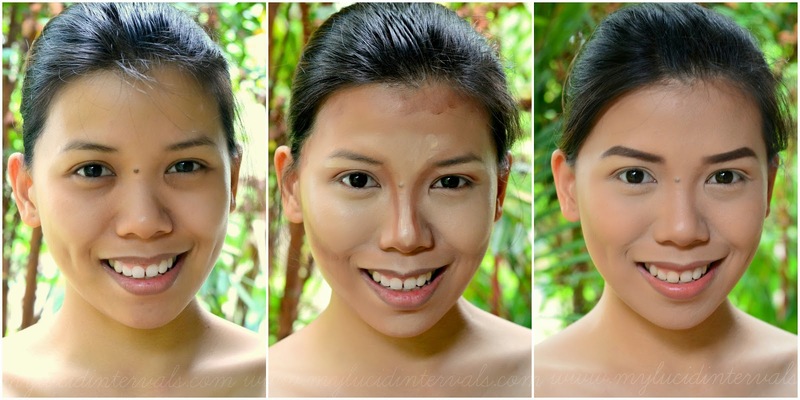 Since I am into bronzers and contouring, I have been meaning to do a post about wet method of contouring. One of the things I have learned from Makeup School is the difference between dry and wet method of contouring. Dry method of contouring comes after base makeup application. This means that you have finished applying corrector, foundation, concealer and setting powder. The products used are primarily powdered ones. This method is the easiest and the fastest method to do. You can do it while inside your car, airplane or elsewhere. Wet Method of contouring, on the other hand, come before the setting powder. So the process of application will be corrector, foundation, concealer, bronzer and setting powder. In this method, products to be used are made of cream and liquid. You are not necessarily confined to using bronzers or contouring products per se. I personally love using cream or liquid foundations or concealers that are two to three shades darker than my skin tone for a more natural effect. Try to skip those with shimmers for an au naturel look. 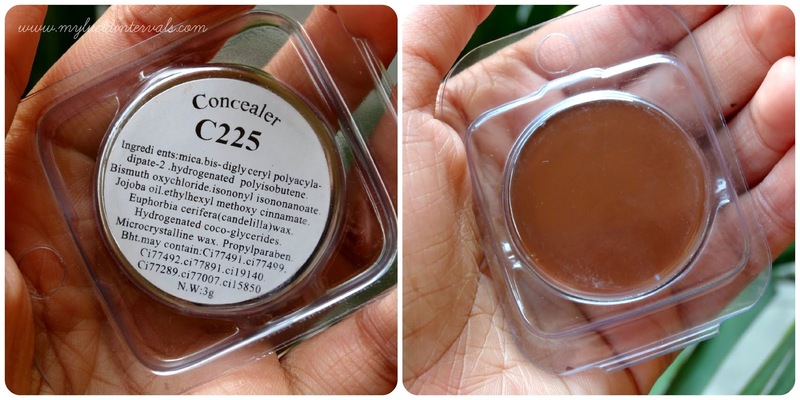 On this post, I used SUESH Concealer in C225. This product is very affordable and only costs 100 pesos This is very creamy and the texture is very blendable. I got the darkest shade and it works very well with my medium yellow skin. For highlighting, I use my Graftobian Concealer/Corrector wheel. This is very pigmented, creamy and compared to that of Suesh's , you just need a tiny amount of the product to cover certain areas of your face. The colors can be mixed as well. I used the light yellow shade for Highlighting. You highlight features of your face that you want to bring forward which refers to forehead, cupid's bow, bridge of the nose, areas under the cheek bone, temples, under eye, brow bone and chin. You contour features to change their shape like you can make your nose appear more aquiline or you can turn a round face to a slimmer one. The purpose of contouring is to add depth or shadow and even sculpt your facial feature that will either decrease their prominence or change their shape. Areas that must be contoured are: cheek bones, area under the lip, nose, jaw line and crease. I made a map out of my face to let you see the areas I highlighted and contoured. Since it is summer, I love the bronzed effect, so I sweep the bronzer all over my hairline to add color on my face and to make it apear smaller. Contouring and highlighting largely depends on your face shape. As for me, my face tend to look round with a hint of diamond feature in it. I love contouring my jaw line and having that fake cheek bones because mine is not really noticeable. Make sure you blend out everything to make it look seamless! I used my Canmake Cheek Brush for blending everything. Set your makeup with a setting powder. In this picture, I used a lighter shade of foundation to set the highlighted areas. I used the Pixy Foundation while I set the contoured areas with Too Faced Chocolate Soleil Bronzer.For lipstick, I used the Revlon Lacquer Balm in Ingenue. Have a blessed Monday to all! Donna please help me map my contour and highlight pattern. I am so lost :( P.S. which do you prefer? wet or dry method? Donna! Im having a hard time contouring also I cant find the area to contour under the cheekbone area! By the way, where can I find all the products that you used here? Wanna try this wet method too :) im using hoola bronzer right now. Plakadong plakado sis! :) Makabili nga nyang suesh concealer na yan. I use powder lang, yung sa canmake yung highlighter saka bronzer nila na matte..